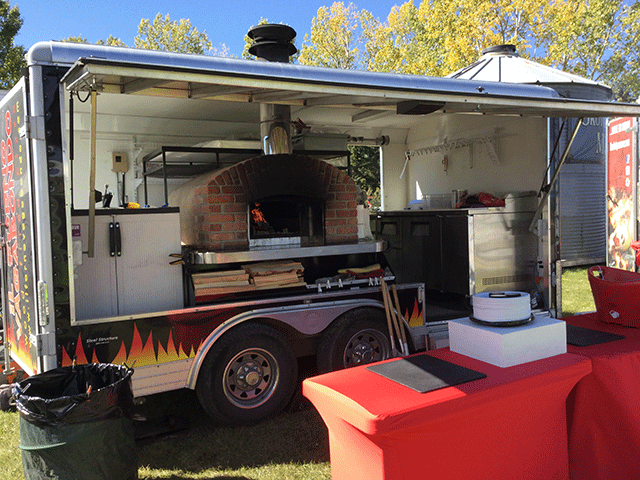 In the warmer months, il Forno Vagabondo truly becomes a wandering oven as our mobile pizzeria hits the road offering wood fired pizza across Southern Alberta. Check out our Events page or follow us on Instagram, Facebook or Twitter to see where the mobile Forno will be next! Our traditional Neapolitan thin crust wood-fired pizzas are made fresh to order. Curious about catering? Send us an email to inquire about our full catering menu options.